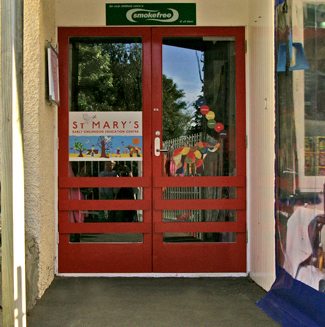 To enrol your child at St Mary’s childcare centre, first complete our online waiting list form below. This lets us know you’re interested in a place at our centre, and puts your child on our waiting list. While you’re on the waiting list, we’ll contact you to let you know if places are coming up and check whether you’re still interested in enrolling your child. When a suitable place is available, we’ll arrange for you to visit the centre and complete our full enrolment form. We will respond to your waiting list application within 3 working days. We charge a $150 enrolment bond when you accept a place at our centre, which is credited to your account when your child leaves St Mary’s. We don’t refund this bond if you change your mind after accepting a place. Fees and enrolments explains how we calculate our fees and the childcare hours we provide. Contact our Head Teacher if you have any questions about our waiting list or enrolling your child. Complete and submit this form to go on our waiting list. There are NO fees to do this. Tell us about any special needs (eg allergies or health issues) that we should know about.